Hop on over to ‘remote control’ -> ‘console redirection’ -> ‘launch console’ and hit allow on any java prompts that appear. 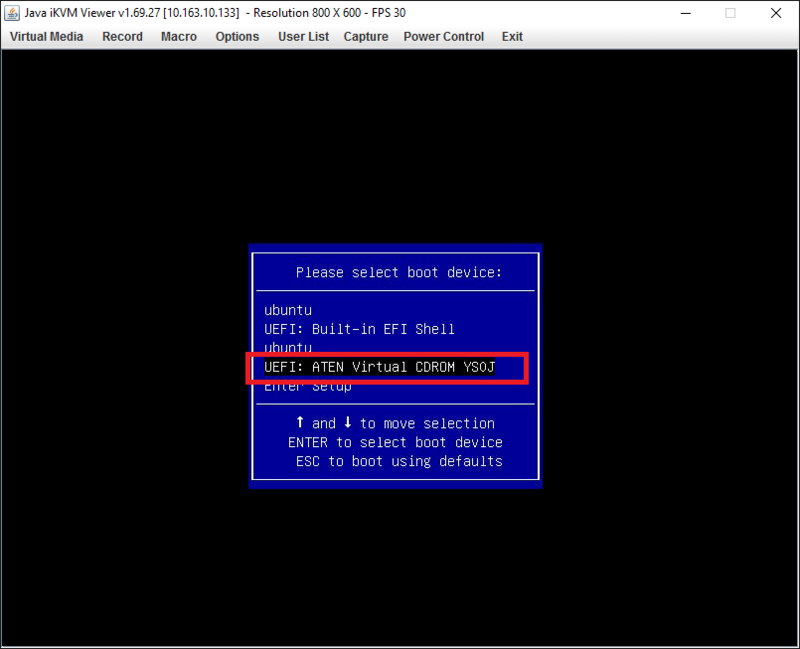 Then set your boot settings to UEFI, from here on out we’ll have to use UEFI as we are going to set up a hardware raid1 for the boot drives. 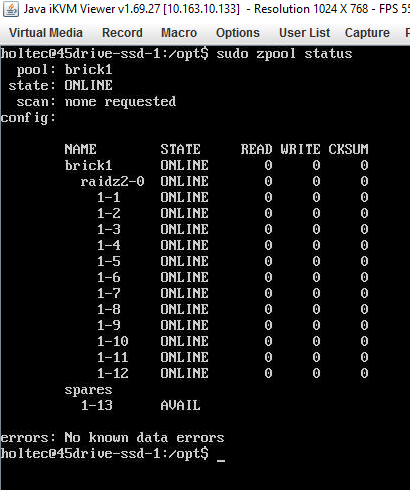 Reboot and when prompted, enter the intel raid setup ‘CTRL + I’, from there you should see at least two disks. 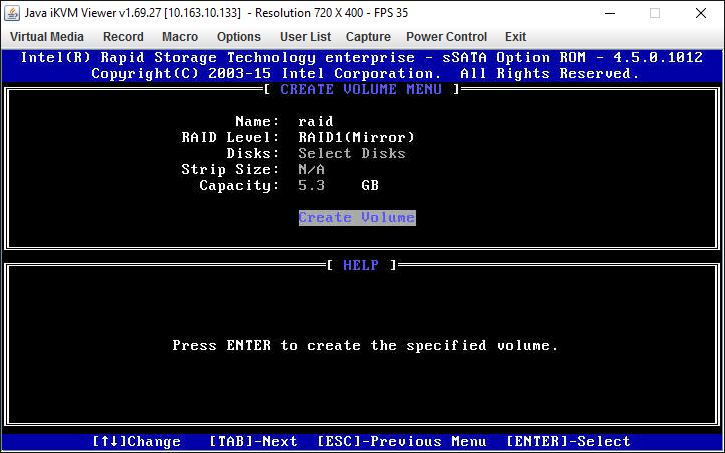 Select ‘Create RAID Volume’. Once at the RAID creation screen, give it a name (any name is fine) and make sure its set to raid1, then create the array. 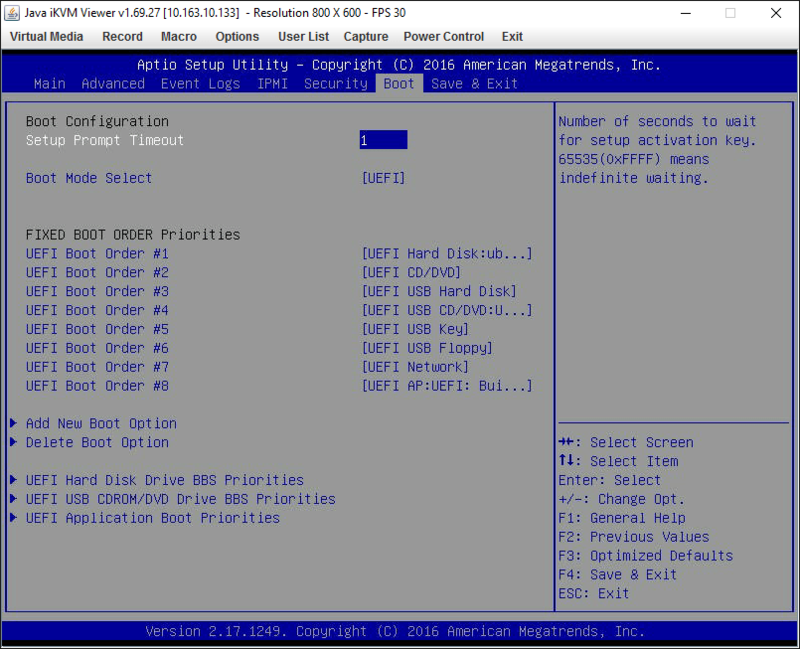 Once complete, mash the ‘F11’ key to enter the boot menu, and from there select ‘UEFI: virtual cdrom’ **IMPORTANT** Be sure to select the UEFI version, the non UEFI version will fail to properly install on the raid1 setup. That’s it, the drivers installed, reboot to verify its properly loaded and picks up all the drives. 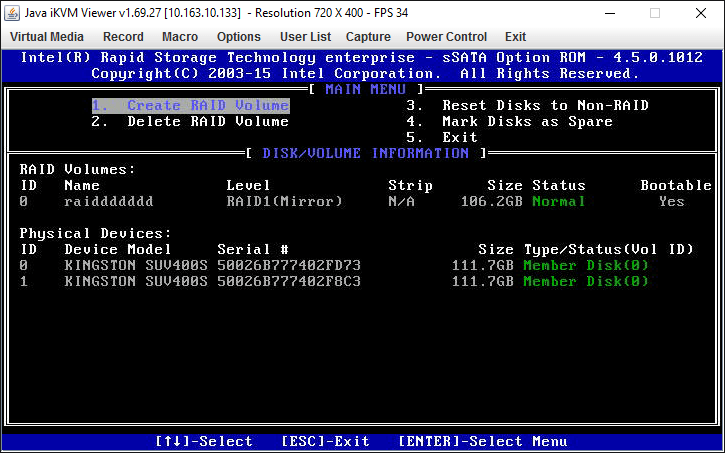 A good additional step is to install the management software for the raid card (for email alerting and such). We also want to tune our new zfs volume for best performance. atime=off, dont update the accessed time every single read/write since this is backend. sync=standard, disabling this can help peformance. Standard means it listens to system calls of when to write. 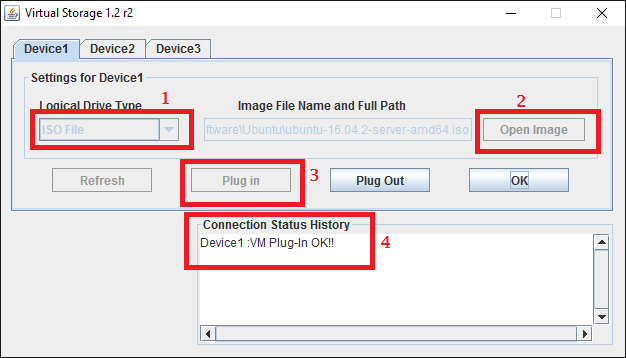 If your using zfs directly with vmware you would want to disable as vmware doesn’t play nice with system calls for sync. If your using it with a windows iscsi implementation (like starwind) standard is fine. 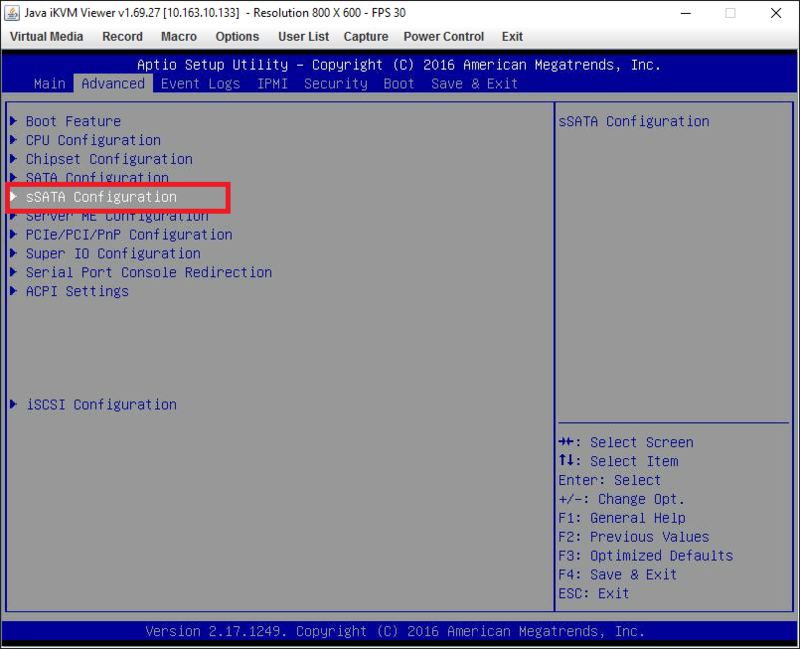 The final step is to set up iSCSI targeting via targetcli, if you’ve never used targetcli before it may seem confusing with its unique commands and structure, but given a bit of time it’ll feel old hat. And that’s it! 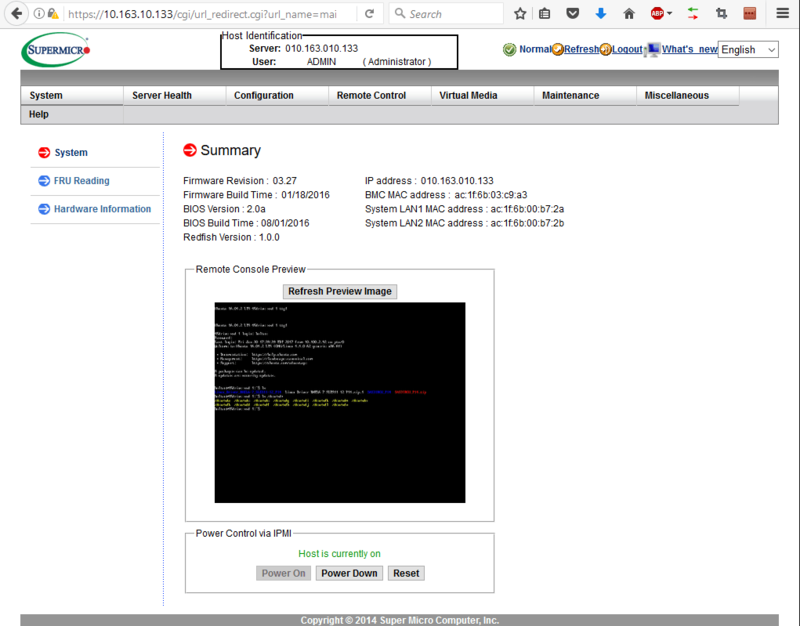 Just point windows iscsi to the portal ip we created moments ago, and it should find the zvol we made. Starwind portion coming soon…. Please explain what the commands do, some are obvious while others are not, especially the tuning commands. If I’m understanding correctly, I wouldn’t run that set of commands at all, looks like it’ll out data at risk. I’ve updated the ‘tuning’ section with more details, hope that helps! Edit2: I’ve changed the tuning in this guide to metadata=all and sync=standard after thinking on this for awhile. The tuning set before made sense for my particular environ but in the interest of keeping this guide ‘copy/paste’ friendly for a majority of visitors, I’m going to err on the side of caution. Thanks again for bringing this up! Are you planning to use at least 3 of these for a back end? Seems very wasteful of hardware cost and iops to create a backend for something designed to eliminate backends in the first place otherwise. So this choice came about as a result of testing several linux based solutions (ceph, gluster) and having them perform very poorly for large windows shares. They would either have issues with windows perms or large vm volume replication. Being windows based starwind tends to handle windows specific shares better. We also currently use it in a mirror config to avoid hardware outages. An entire 45drive san chassis could die and nothing would be affected on the frontend. 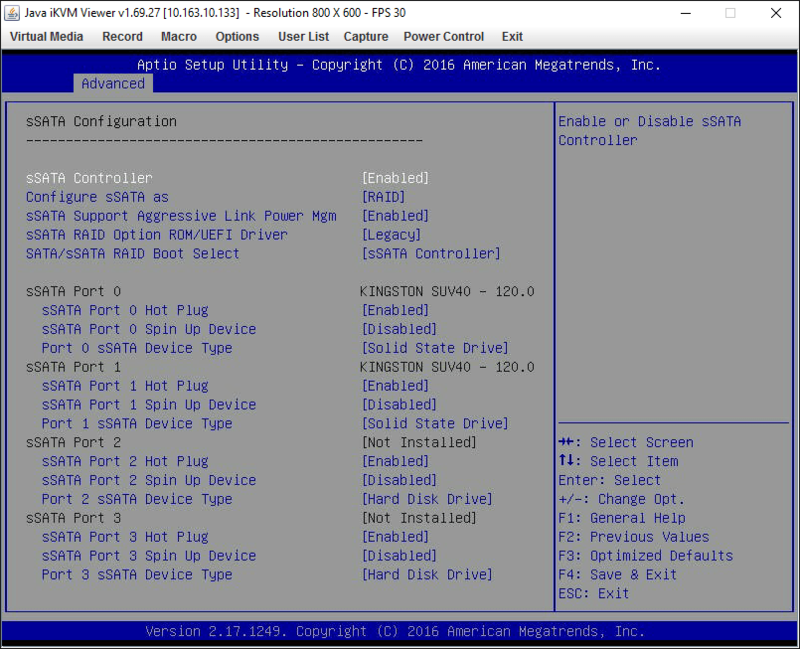 Sure your paying more initially than a traditional san with dual controllers, but you get two independent backplanes annnnd no vendor lockin, which means adding drives etc is only the cost of the drives themselves (less than 1/4 the price of say a ‘dell emc ssd’) and also no maintenance costs. So long term you get two chassis for full true redundancy, cheap drives/parts for scaling up, and no maintenance costs to speak of. 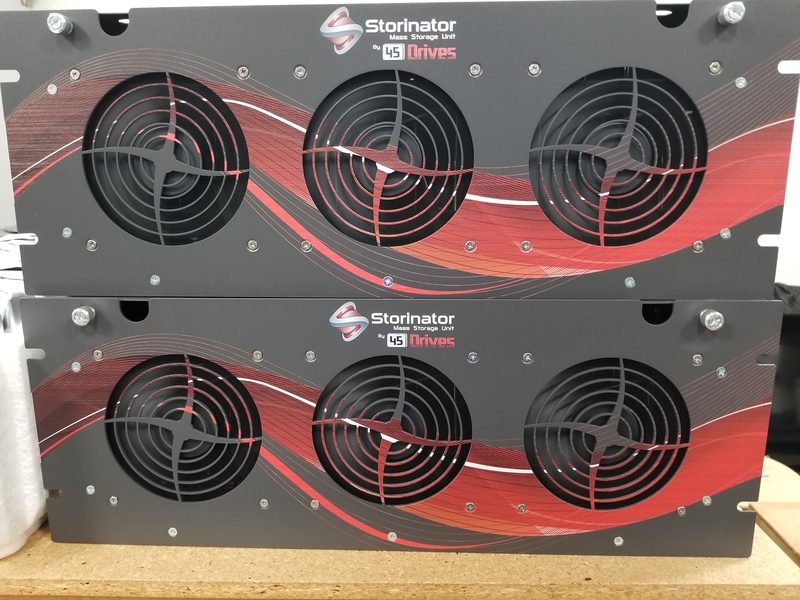 Also I’m in no way affiliated with starwind or 45drives I’ve just found this to be by far the best solution for mirrored redundancy at scale. Y U No use Transport Layer Security?